Highlights from Project Milwaukee: To Protect and Serve held at the Wisconsin Black Historical Society. If this indeed is a time that the relationship could improve, what issues will stakeholders face in bringing about change? Panelists -- Acting Assistant Chief Raymond Banks, Milwaukee Fire and Police Commission Chair Steven DeVougas, YWCA's Racial Justice Community Engagement Manager Jamaal Smith, and UWM's Helen Bader School of Social Welfare Dean Dr. Stan Stojkovic -- weighed in at WUWM's Project Milwaukee: To Protect And Serve forum on Wednesday. They suggest the problem is complicated, but solutions do exist. Audio of the entire Project Milwaukee: To Protect and Serve forum, moderated by Lake Effect's Mitch Teich and WUWM News' Ann-Elise Henzl. Acting Assistant Chief of the Milwaukee Police Department Raymond Banks (middle) speaks to the audience. Acting Assistant Chief Raymond Banks said MPD leaders recognize that public trust has eroded and that there's work to do to change opinions. But he said he's encouraged by the approach the MPD has taken in the last month and a half. 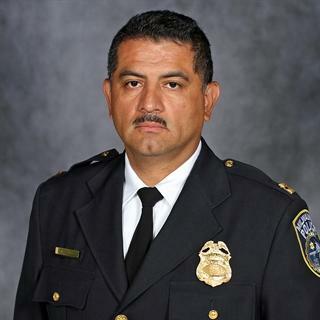 It's been under the leadership of Interim Chief Alfonso Morales, who stepped in when Flynn retired. Banks said in his 27 years of policing, the current administration is the most transparent and ready to talk. “We are willing and open to have those tough conversations because we know they have to be had," he said. A forum attendee asks the panel about police shootings of unarmed black men. One audience member opened up that tough conversation, asking Banks why police can shoot unarmed black men and appear to get away with it. The man said that the claim that officers are shooting in self-defense often seems far-fetched: “When the police see a person getting shot, laying down on the back, where is the line drawn in terms of ‘I fear for my life?’ That’s got to go!” he protested. The man said because of such cases, he doesn't feel safe in the presence of police. However, community advocate Jamaal Smith said he believes the department also has to address the racism he says is at the heart of shootings by police. 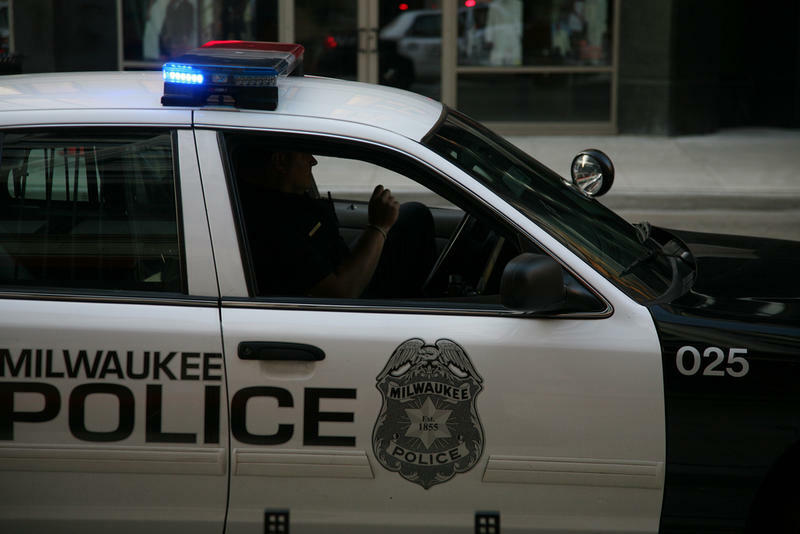 Smith, the Racial Justice Community Engagement Manager for YWCA Southeast Wisconsin, said throughout the country, time and time again, African American men are dying at the hands of white police, who typically don't face criminal charges. Jamaal Smith, Racial Justice Community Engagement Manager for YWCA Southeast Wisconsin, speaks on the panel. “I don’t find it ironic that we’re having this conversation on the week that the two officers who killed Alton Sterling in Louisiana were not charged,” he said. “I think it’s also ironic that the Minnesota officer who gunned down the white lady, Justine Damond, has been charged." Smith said police not only need to quash racial prejudice, they also need to understand that citizens aren't the enemy and that systemic inequality is the root cause of crime. Criminal justice expert Stan Stojkovic also touched on societal factors that contribute to crime, namely poverty. 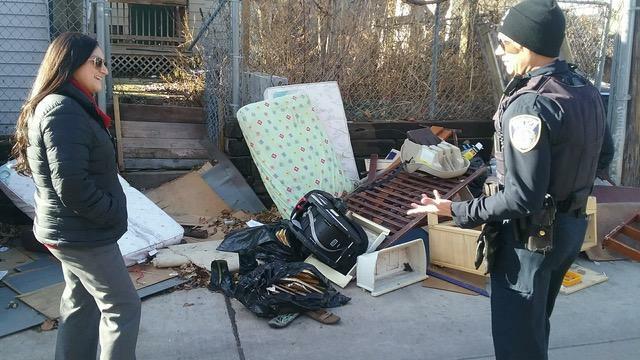 The dean of the UWM's Helen Bader School of Social Welfare said poverty is connected to the loss of industrial jobs and other issues much larger than those in the police department's control. Yet he said leaders hoping to reduce crime keep employing temporary, largely ineffective solutions. He added, "When you give 30, 40, or in some cases 50 percent of the city's budget to [the police department], you'd better demand some accountability." Audience members at the forum.